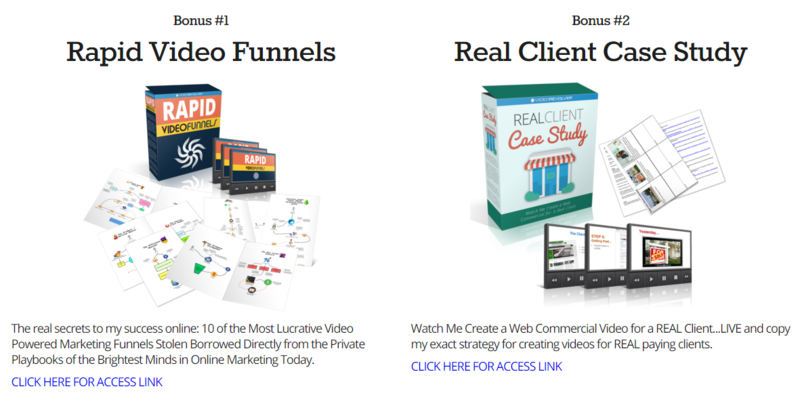 Rocket Builder Review: Stunning Websites in 30 Seconds? On today’s show I am testing Rocket Builder, a new tool that claims to product stunning websites in 30 seconds flat. No matter what you do online, you need some kind of a website. Affiliate and CPA marketers need it for review pages and lead capture pages… List builders need it for squeeze pages… Offline consultants need websites to sell to their clients. The problem is that to make a good looking website normally takes 2-3 hours of work MINIMUM. Often it takes 1-2 days, and that’s if you know what you’re doing. If you’re a complete newbie, it’s very time consuming to build one yourself. Rocket Builder solves that problem because it can produce professional, polished websites very quickly. Rocket Builder is essentially a WordPress theme. However, the trick is that it contains over 75 templates all in one theme. So after you install this theme on your site, you can very quickly change your site to one of the 75+ predefined templates. This is great news for anyone who needs a new website, because traditionally we either have to use crappy free themes, or we have to pay $37 – $47 just for ONE theme. Inside Rocket Builder there are over 75 very polished, professional templates which cost $37 for the whole lot of 75 of them which is of course great value around $0.50 per theme. In the video above, I am showing how easy it is to create a website using Rocket Builder. You can see the final finished website here. 1 CLICK Color Changing – Rapidly Change the Look of Any Website in 2 Seconds. Build Custom Layouts and Save Them as Custom Templates to Use On Other Sites Over and Over Again – HUGE TIME SAVER! Full Page VIDEO BACKGROUNDS on ANY website and ANY Page – Use ANY Youtube, Vimeo or Self Hosted Video as the Background on Any Page of Your Website! Attention Grabbing “Parallax Scroll Effect” – This one will set you apart from the rest and make sure your visitors take notice! Creates beautiful – fully responsive and retina ready designs. Never lose another visitor again! Built in “Maintenance Mode” & Coming Soon Pages Protect Your Image by Hiding Your Website from the Public if Your Website is Under Construction OR Undergoing Changes. This one theme can easily replace a lot of tools you are currently using. Watch the video above to see me work on it live. Yes there have been other similar tools that have done similar things, but Rocket Builder is simply more complete, faster and better than other tools I have seen. With the Personal Licence ($17) you can: use on up to 5 domains and use on websites ONLY YOU own. With the Developer Licence ($37) you can: Use on unlimited domains, use on websites owned by you and your clients, and use on sites you flip / sell. Inside this upgrade you can access 100 more templates. This is the upgrade that I am most excited about and I will personally buy. You can buy 100, 250 or Unlimited whitelabel licences to this software which means you can RESELL it or GIVE it AWAY for free. So you can instantly become a software vendor, and this is a great product that is in demand, so you can easily resell this product. This is a huge collection of over 6,000+ Stock Photos, Stock Videos, Backgrounds, Icons, Vector Images, Banner Ad Templates, PowerPoint templates and tons more stuff. Very handy for anyone who designs pages, documents or websites. This is a replay of an exclusive webinar my partner Stephen Gilbert and I held in December. We are still charging $47 for this webinar (see sales page here), however you will be able to get it FREE when you pick up Rocket Builder through my link. 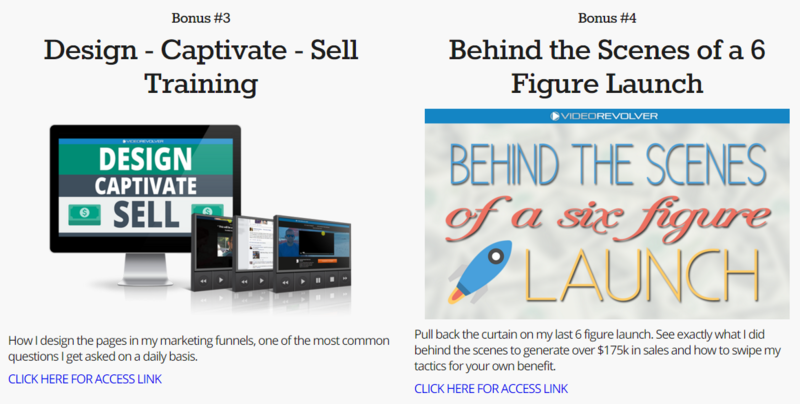 Inside this bonus you will be able to learn how to use Rocket Builder and create your own 6-figure digital product business in 2016. This is exactly what I did to go from $0 to making a profit of over $130k in less than 12 months. How To Get: To get the bonus, please look inside your JVZoo download area. If you have any problems, just email me and I’ll get that over to you ASAP. Or you can raise a ticket at https://soulweb.freshdesk.com/ with the subject “Attn: Greg – Rocket Builder Bonus”. I love hearing from you guys! So please just leave me a comment or question in the comments section below. Of course we do need hosting? right? . and also how about the content? does the rocket builder included any auto content if we insert any specific keyword? Hi Abd, thanks for your question. Yes you would need hosting just like with any other site, that’s correct. Regarding content – Rocket Builder templates come with some content already. You will need to change it depending on your needs. If you have affiliate review blog then you’ll need to publish appropriate reviews etc. DAVE… you can not use wordpress.com for any of these types of promotions. You will need to go to wordpress.org. With org, you own the site. It’s a FREE download, and gives you total control. You provide hosting and upload WP to that hosting. Then you can upload WP Plugins, and WP Themes. In this case it would be Rocket Builder, a WP Theme. More bang for your buck, and perfect for most applications as it provides unlimited domain hosting/websites. This is the type of plan most stay with for years. You may want to google some Youtube videos on learning wordpress.org. Pretty simple once you get into it a bit. Or you can buy courses on it also, but I’d suggest you first get familiar via Youtube. Greg here can probably even suggest some courses that I’m sure he would recommend to buy. Not my blog, so I won’t mention any. Thanks for your detailed reply Ted! Greg, what if you wanted to just create a niche related site using one of the templates and flip it on Flippa or one of those sites? Can this product be used effectively for that purpose? Hi Dan, yes sure, the $37 “Developer” allows you to sell the sites you make.